The Yarra Valley is a golf lover’s paradise, offering a range of well-maintained golf clubs for every skill level. Located near the famous Yarra Valley wine and tourist area, the Yering Meadows Golf Club is a stunning championship course, featuring a challenging course for beginners and professionals. The Yering Meadows Golf Club has a 27 hole, par 72, 6408-metre course. 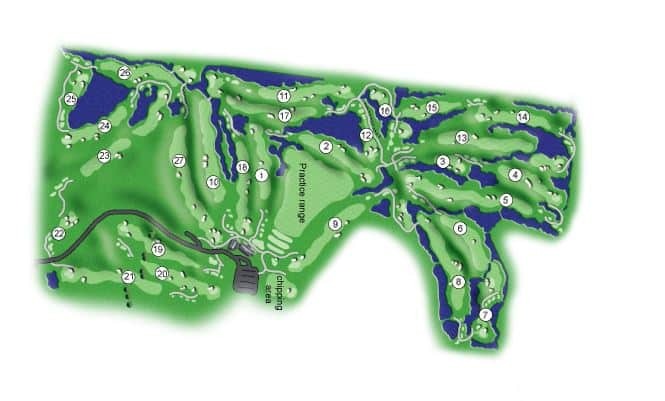 The course is well watered and features undulating fairways and challenging greens. Facilities for members include a contemporary clubhouse, and visitors are welcome to play at the course on weekends, although places are limited and should be organised in advance. After your game of golf, relax in the clubhouse which overlooks the scenic hill ranges and lush vineyard properties of the Yarra Valley. Come here to sit back, relax and enjoy the modern facilities. As Yering Meadows is within a short distance from the CBD, many Melbournians find it a convenient spot for some weekend golfing. The new golf club also includes a practice facility with all modern and upscale amenities. If you plan to stay in the Yarra Valley during your golfing trip, then check out the range of accommodation nearby by clicking the link below.